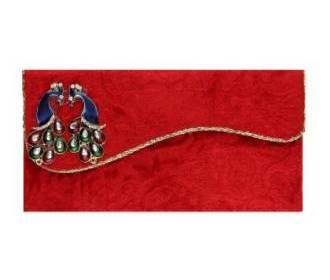 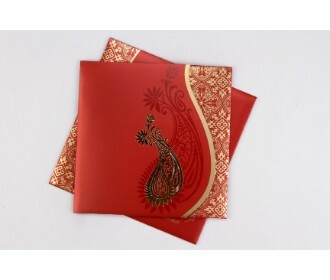 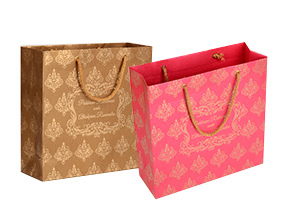 Indian wedding invitation in bright and vibrant colours. 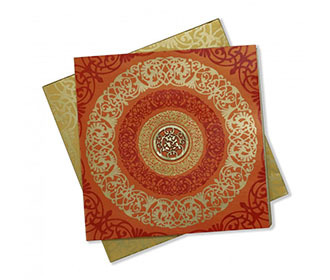 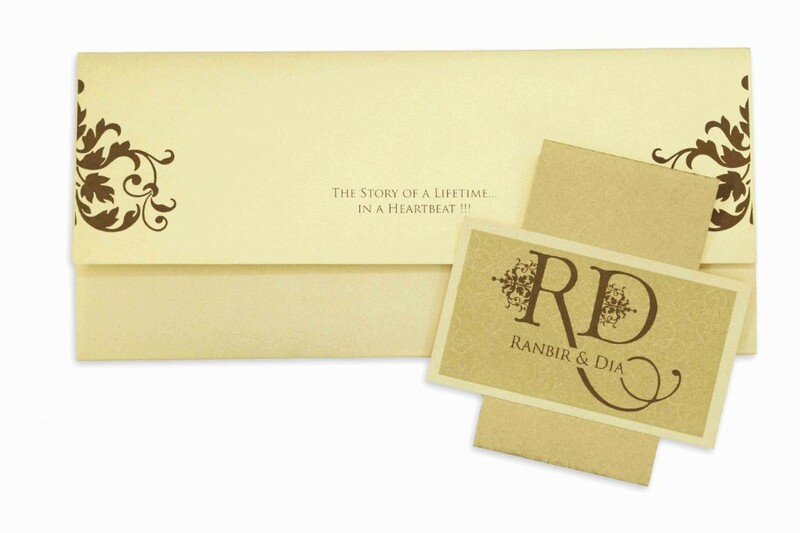 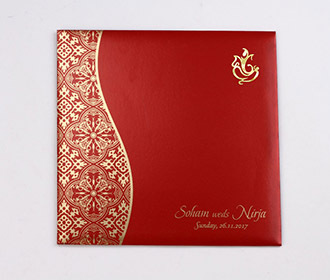 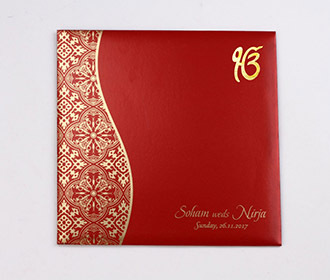 This multi faith wedding invitation is for someone who wants to keep their invitation colourful and elegant.This wedding invitation is in cream colour with floral patterns in brown colour. 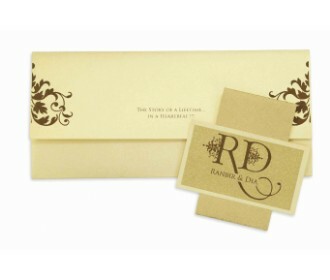 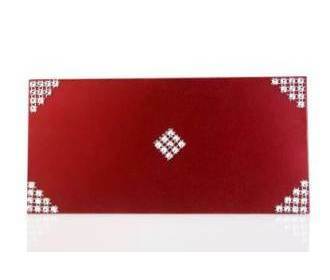 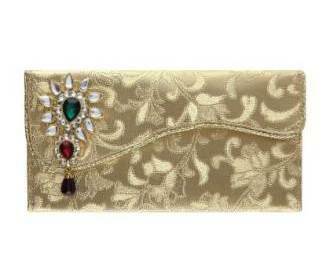 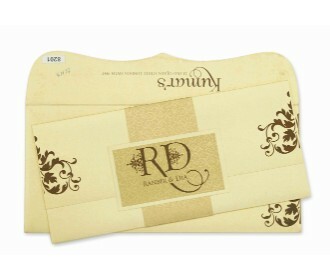 The front of the invitation envelope has floral motifs in brown on the right hand side. 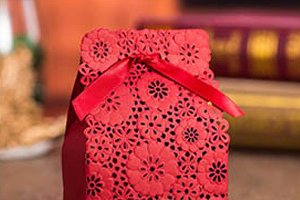 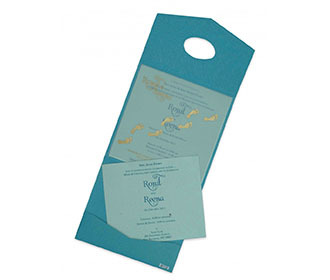 The main invitation card, which is a try fold is held together with a paper band. 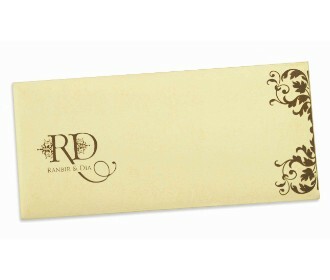 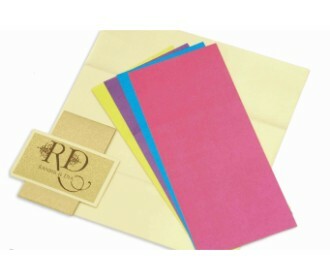 This paper band is a combination on cream and golden colour. 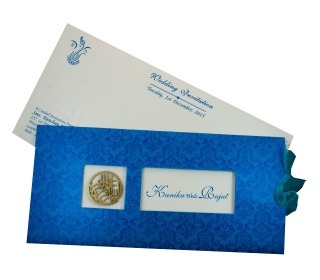 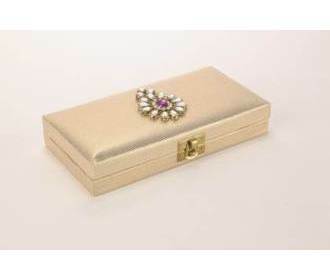 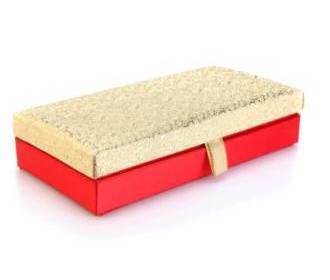 The top of the band has a boxed space to write wedding initials, date or names as per your choice. 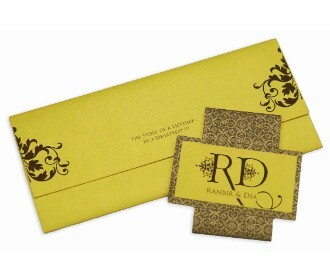 This invitation by default comes with two inserts. 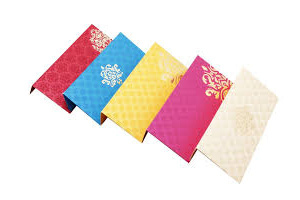 There are four colour options to choose from.